Offshore sail training trips with Southern Cross Yachting are held regularly both as 3-day dashes to Mooloolaba and back and as longer trips up the Queensland coast to places such as Tin Can Bay, Hervey Bay, Gladstone, Yeppoon and the Whitsunday’s. They are ideal for completing qualifying passages for Yachtmaster exams or for simply gaining experience offshore. There will be some night sailing as well as nights at anchor or in marinas. These are designed as holiday trips with the yacht stopping at places of interest along the way and the crew enjoying trips ashore. Who knows we might even spot a whale or two along the way! These trips are always popular. 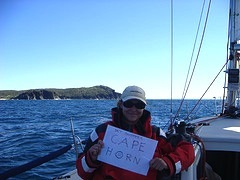 As with any offshore sailing trip destinations are weather dependent and alternative stopovers or routes may be chosen to suit weather conditions. As a participant in the crew for the trip you will be involved in preparing meals and keeping the vessel clean during the trip. If your dream is to cruise the Queensland coast or beyond this is a great opportunity to experience offshore sailing and help prepare for your own voyages in the future.